The private housing development is designed for the target market of students at Sam Houston University. 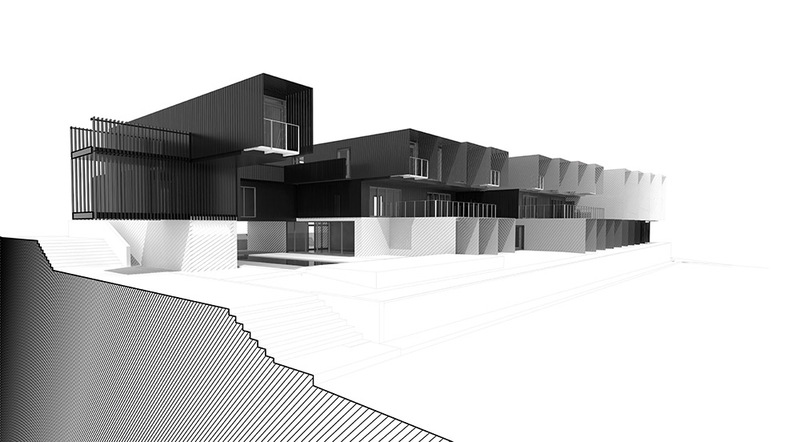 The project consists of 64 units at 400 sf each with one bedroom, living area, small kitchen and bathroom. 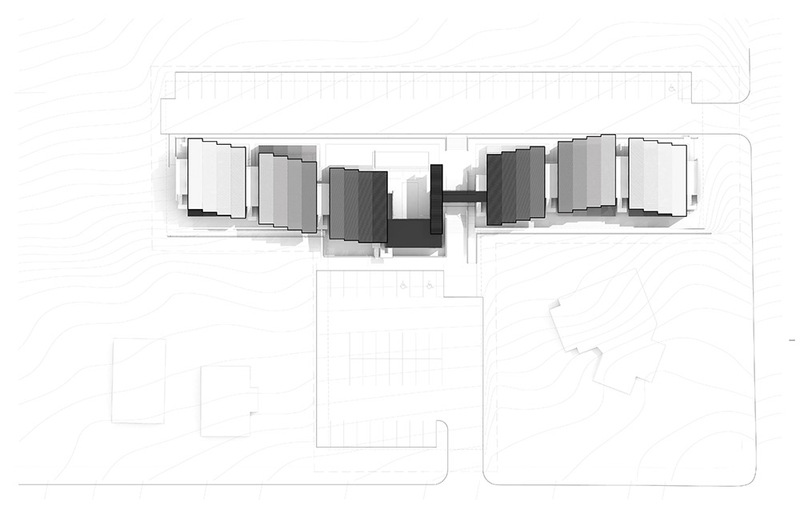 A communal larger kitchen, laundry area, swimming pool and lounge is located in the center of the project at the path that connects the lower to upper parking lots. 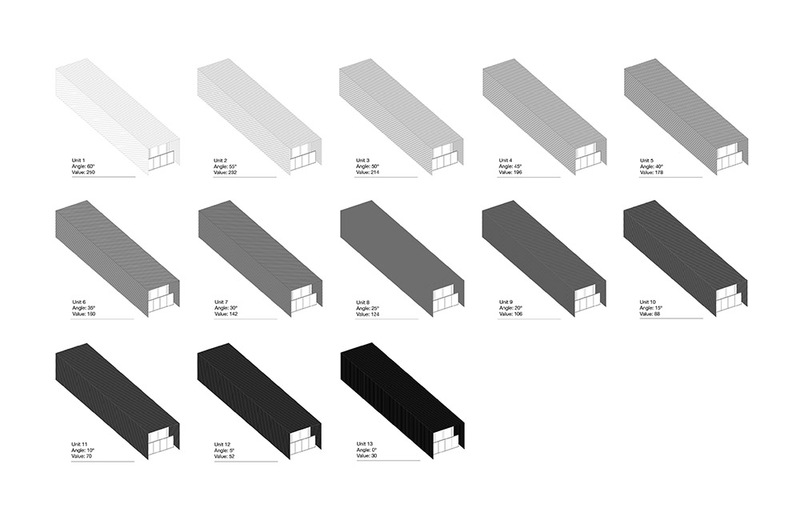 The units are modular construction, but the design creates subtle differentiation in the position of the units and color. The ground floor units are aligned with the parking and site boundary the color of each unit changes from black to white to black again. 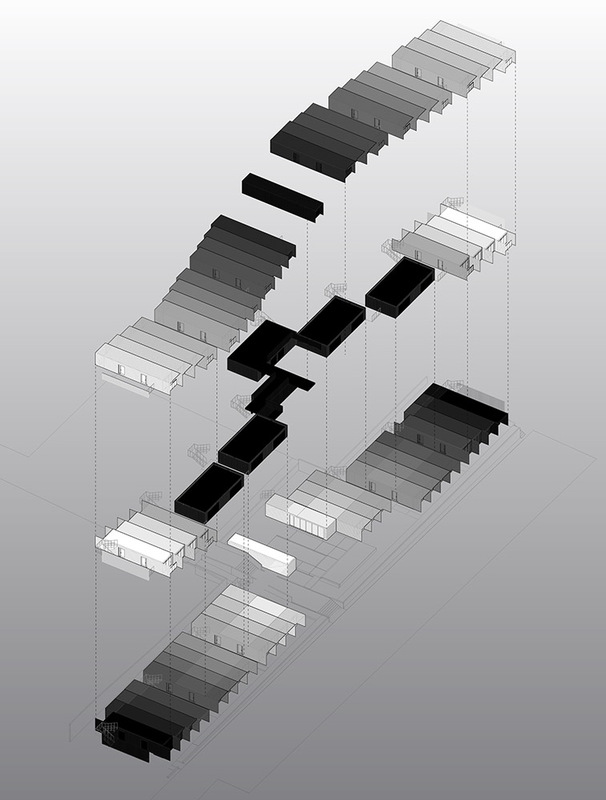 The 3rd floor units shift in north-south direction and change from white to black to white again. The second floor units are black and generally recessed to emphasize the cantilevers.